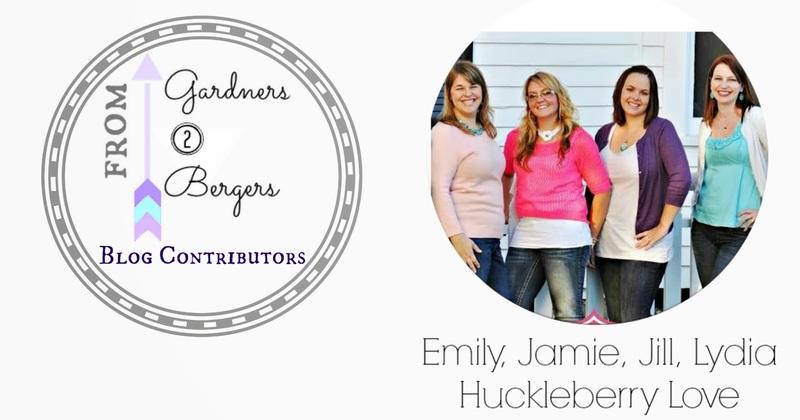 Hi Guys, I'm so excited to share a new addition to the from G2B team, it's the girls behind Huckleberry Love! If you don't know them yet, you should change that right now! 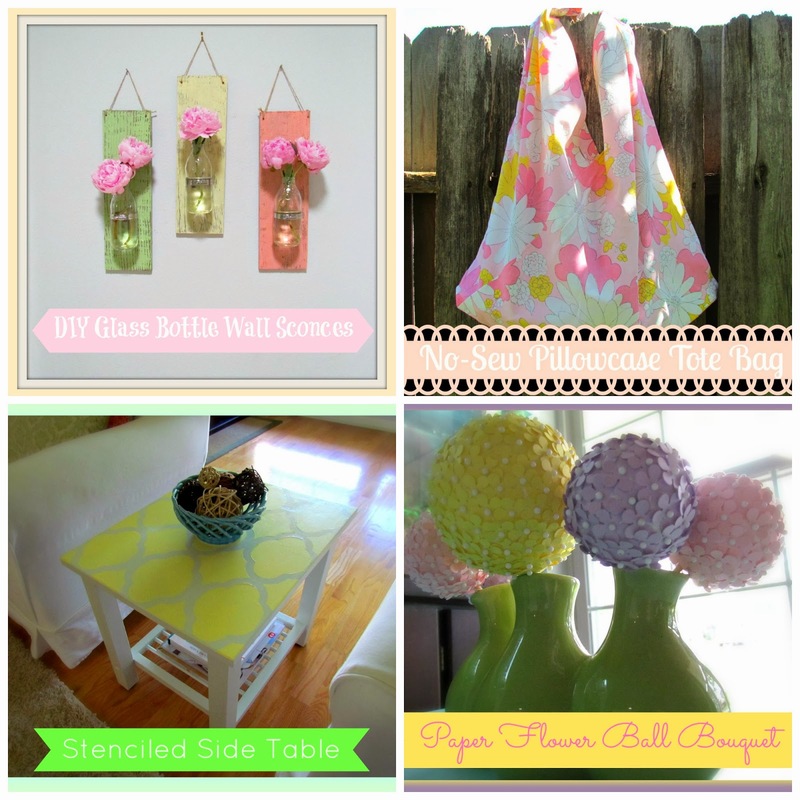 It's the cutest blog full of recipes, sewing, and kids projects. 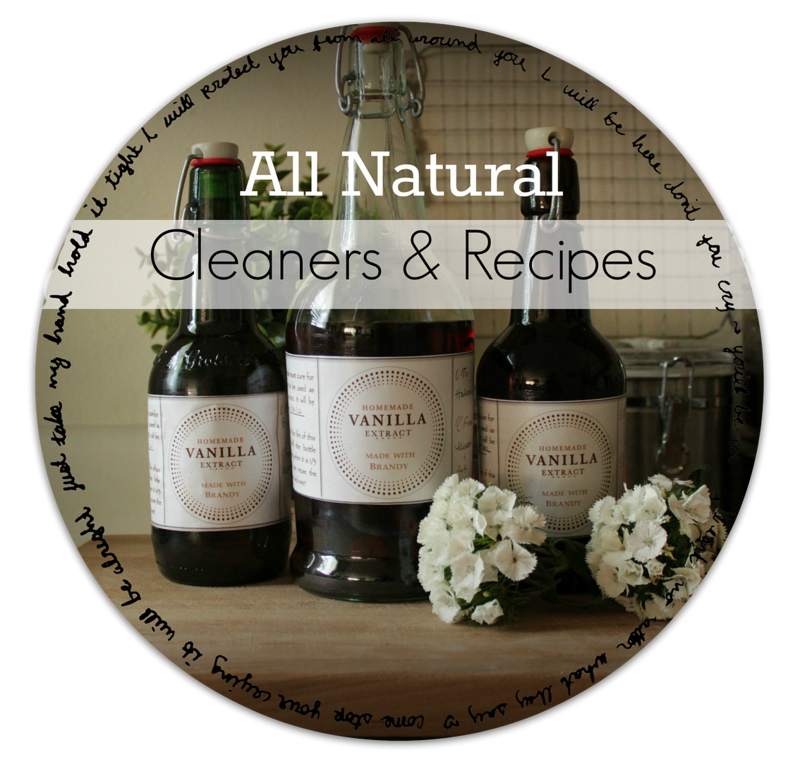 I thought it was the perfect compliment to what is missing around here at my blog! The blog is written by these cutest girls: Emily, Jamie, Jill and Lydia. Emily is writing for us today! 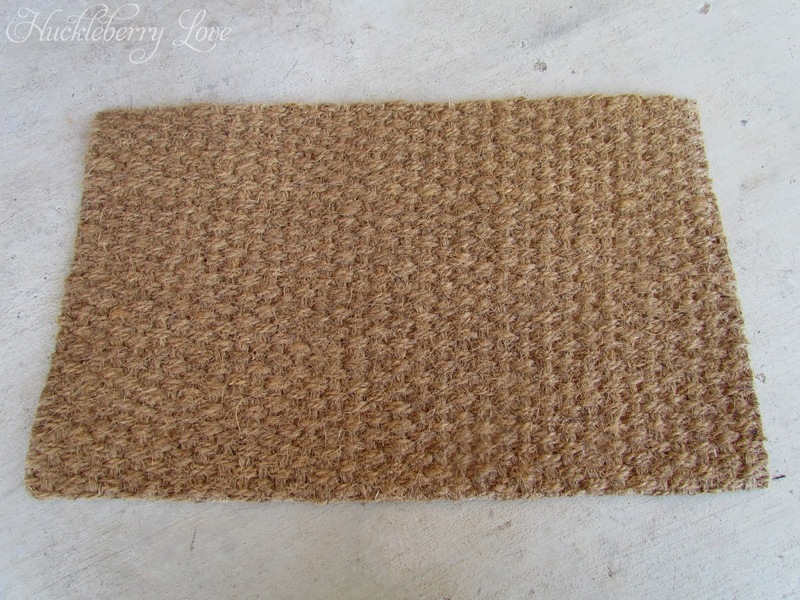 It all started with this Sindal Door Mat that I found at IKEA. It was hanging out at the front near the registers and with a $4.99 price tag, the decision was made in about two seconds that it was coming home with me. I knew I could personalize this baby! 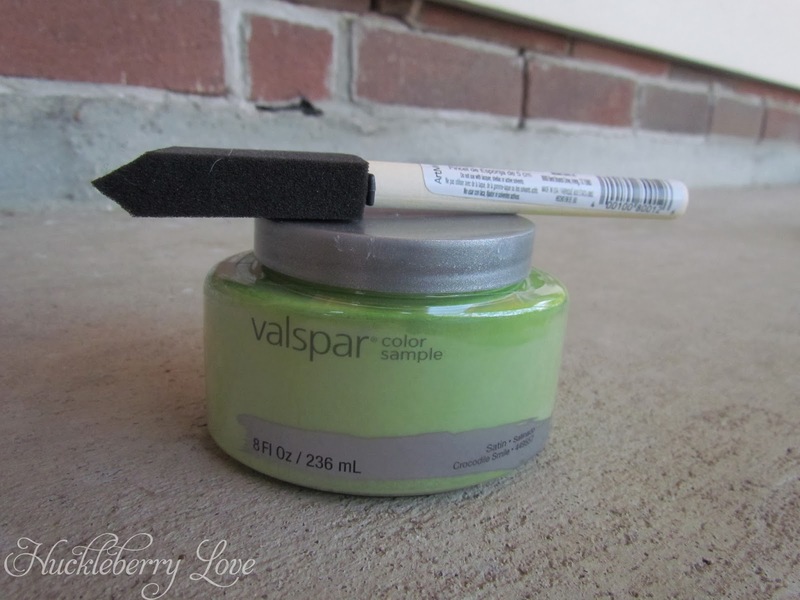 After a bit of searching through things that I had on hand, I decided to finally put this awesome Shape Tape (from Frog Tape) to the test. I received it as one of the many freebies that were being handed out at the Haven Conference last summer, but had never used it. 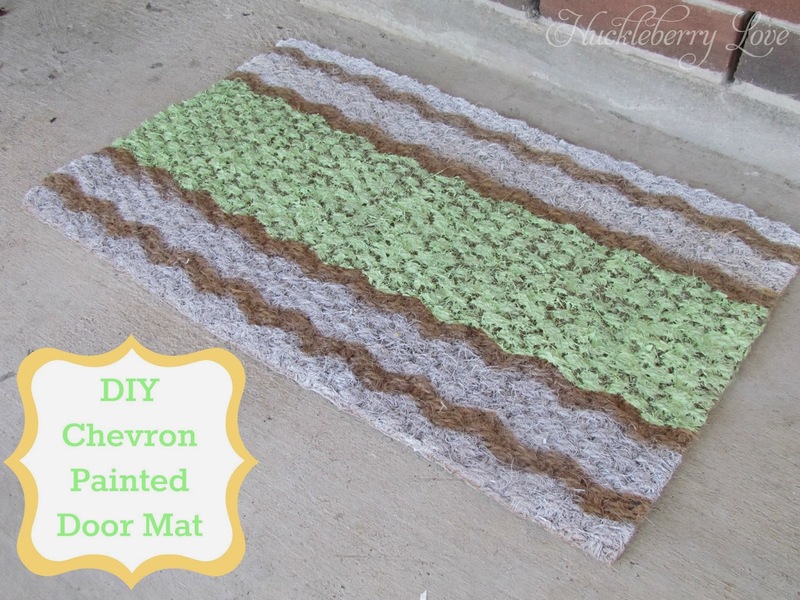 Also, I absolutely LOVE Chevron, so it was really a no-brainer. I'll be honest that I was a bit hesitant to use it at first, as it clearly states on the back of the package that it's not to be used on textured surface. Call me a daredevil, because I didn't let that stop me! I started by playing around with how thick I wanted my Chevron stripes to be. At first I wasn't quite sure as to what kind of design I was going to create on the rug. I just went with the flow and am pretty pleased with the results. 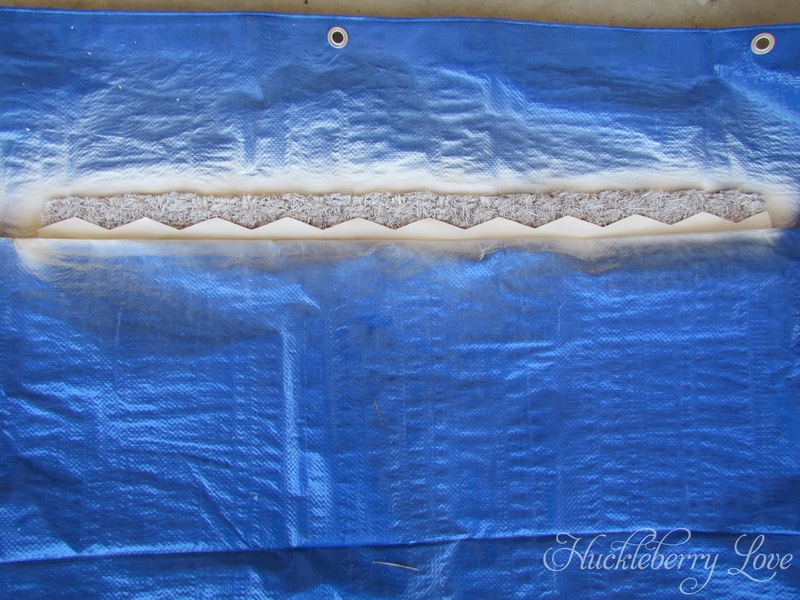 Be sure to press down very firmly on the shape tape, as it really does not stick well to this type of material. 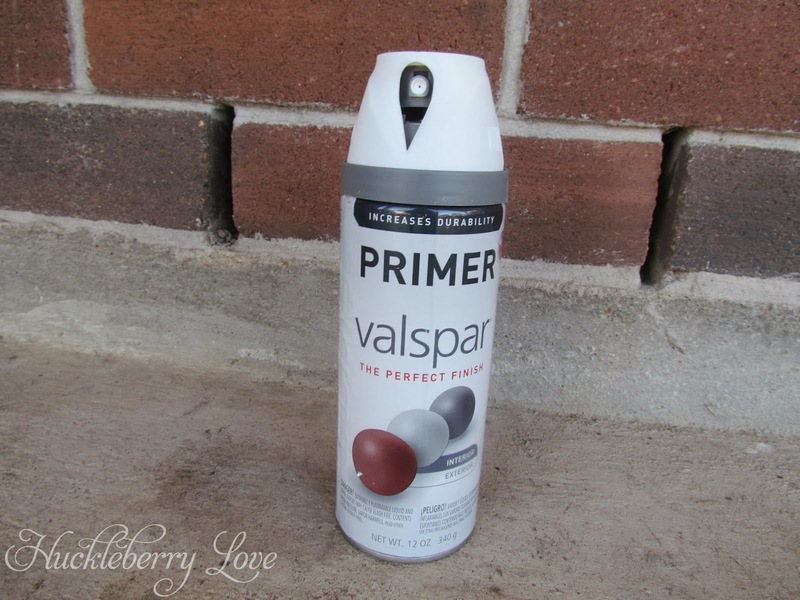 Next, I dove into my paint stash in the garage and came up with a can of white spray paint. Just what I was looking for! My hubby bought me this big, blue tarp a few months ago to use for all of my painting projects. It was his kind way of letting me know that he was sick of me getting spray paint all over our garage floor. Ha ha! 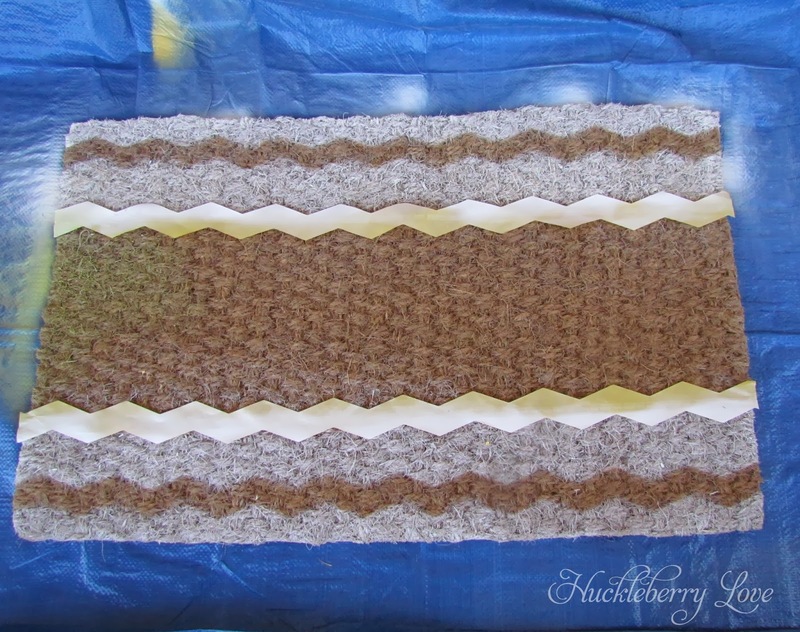 It came in very handy with this project, as I was able to manipulate it as necessary to cover up the parts of the rug that I didn't want to get paint on. This process worked very well for me. After my first coat, I played around with the design a bit more and came up with the design below. I attempted to use light green and light yellow spray paint initially along with the white, but neither showed up well on the rug at all. So, I changed things up a bit and added more white paint to the top and bottom of the rug. Now, what to do with that middle part? I knew that the rest of the spray paint I had on hand wouldn't be dark enough to really pop. Then I remembered that I had a few paint samples in the garage. This light green was exactly what I had envisioned. So, I grabbed a foam brush and got to work! 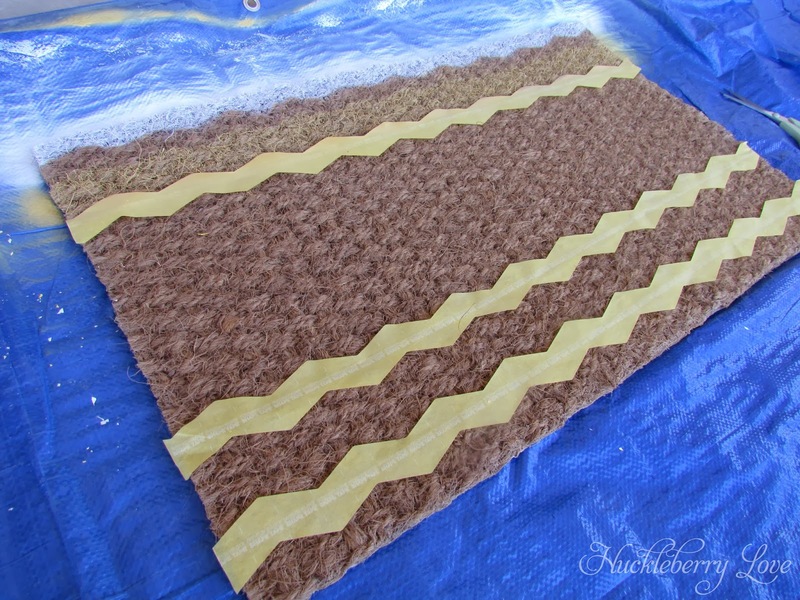 It only took me about 10 minutes to paint the middle part of the rug with the foam brush. 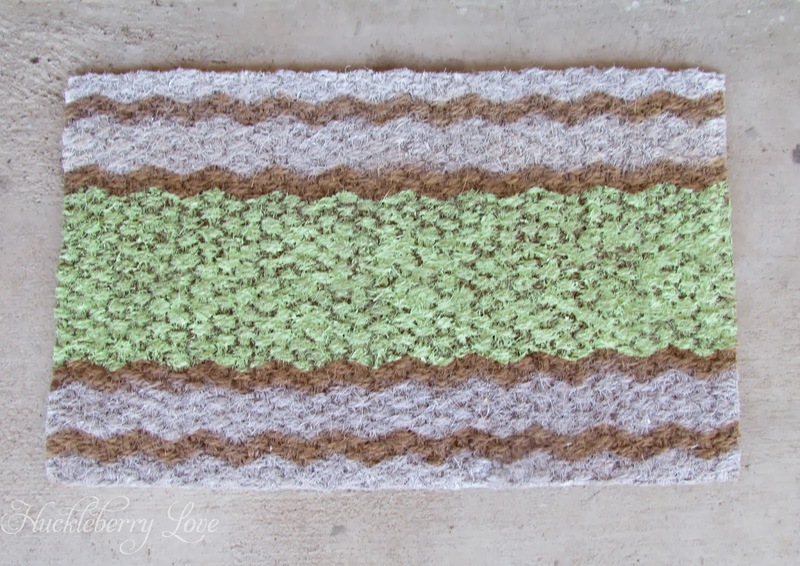 Because of the rug's texture, it is not completely covered (as the parts with the spray paint are), but I really like the shabby chic look that it gives off. 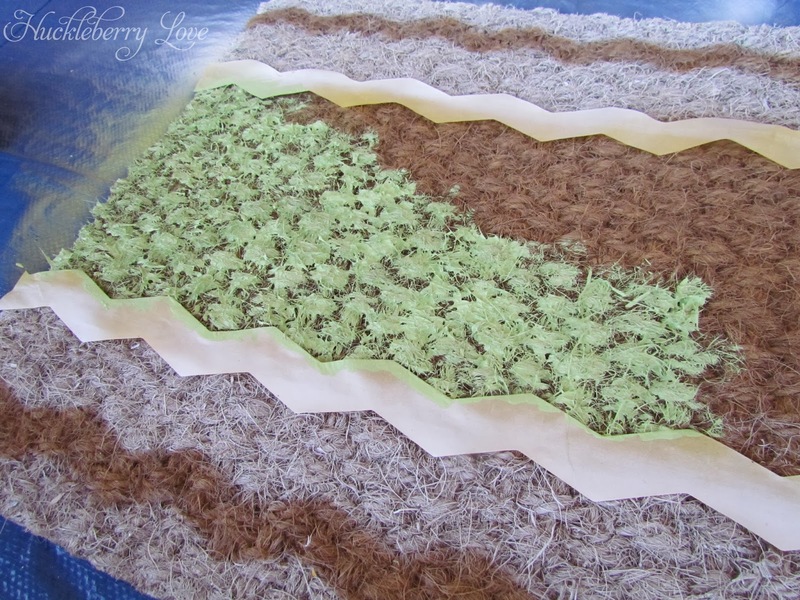 Have you ever painted a rug? Am I the only Chevron lover left, or are you still digging the trend? Did you enjoy this post? 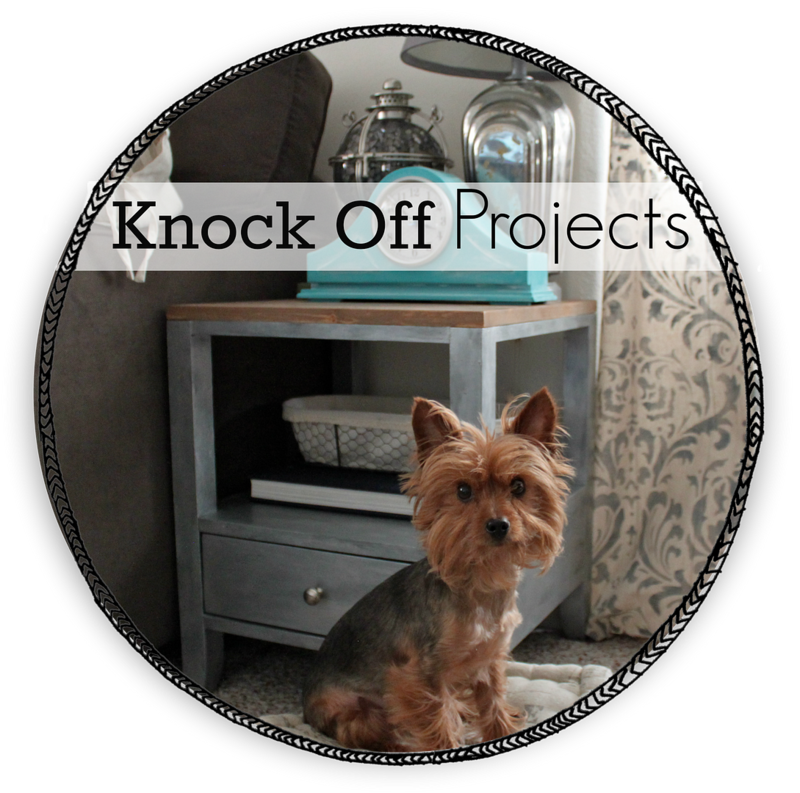 Check out a few more of my favorite DIYs I've shared on Huckleberry Love! 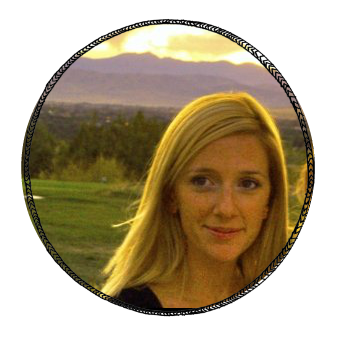 Emily is one of the co-creators and bloggers of Huckleberry Love. 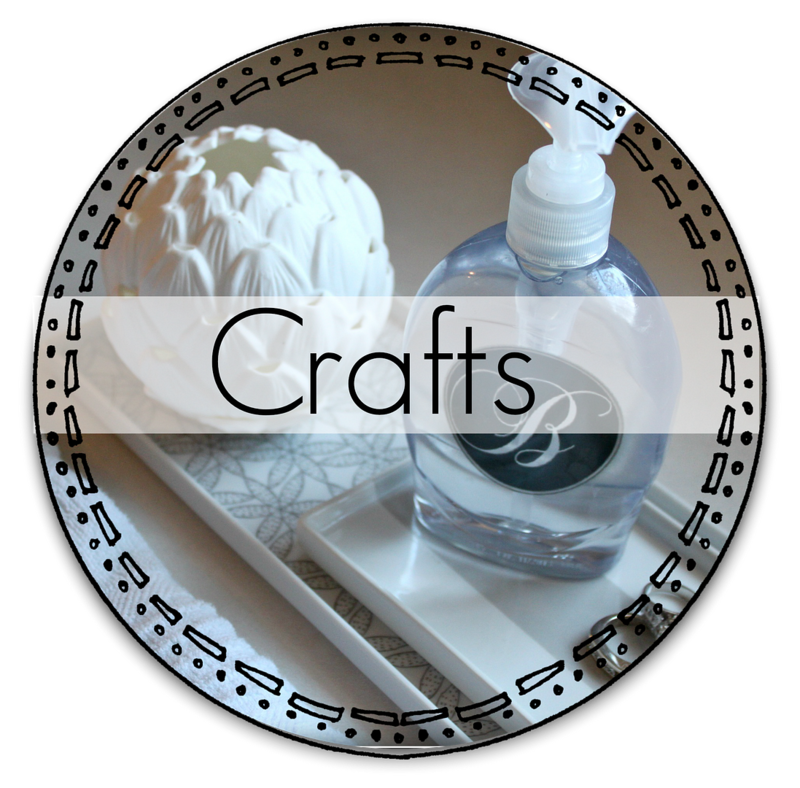 She is also the owner of her own handmade shop, 8th Street Bridge, where she creates custom yarn letters, as well as burlap and yarn wreaths. 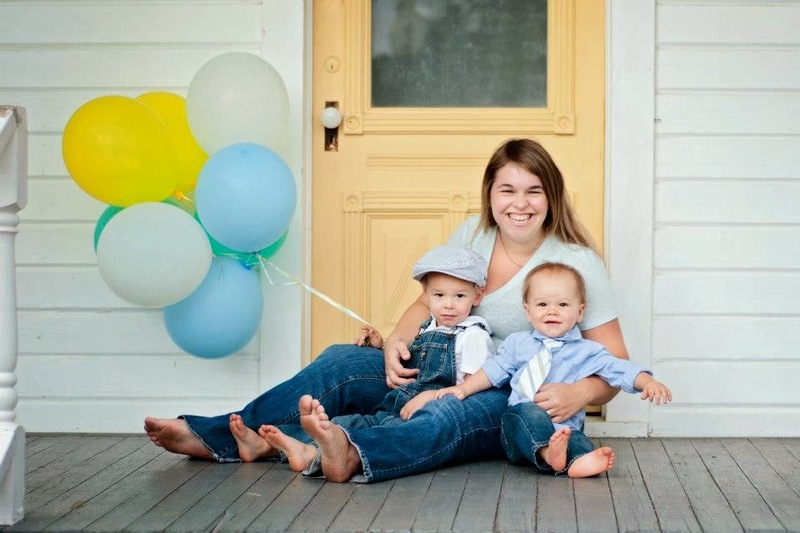 Emily is a proud wife and mother to two troublesome, toddler boys and is expecting her third child this April. When she's not sneaking cookies from the pantry while pretending to clean, she enjoys going to the movies, reading, creating and spending time with her family. I love having you girls on the team! Thanks for your post- I had to pin it for later! So sorry again, for that blogger problem. 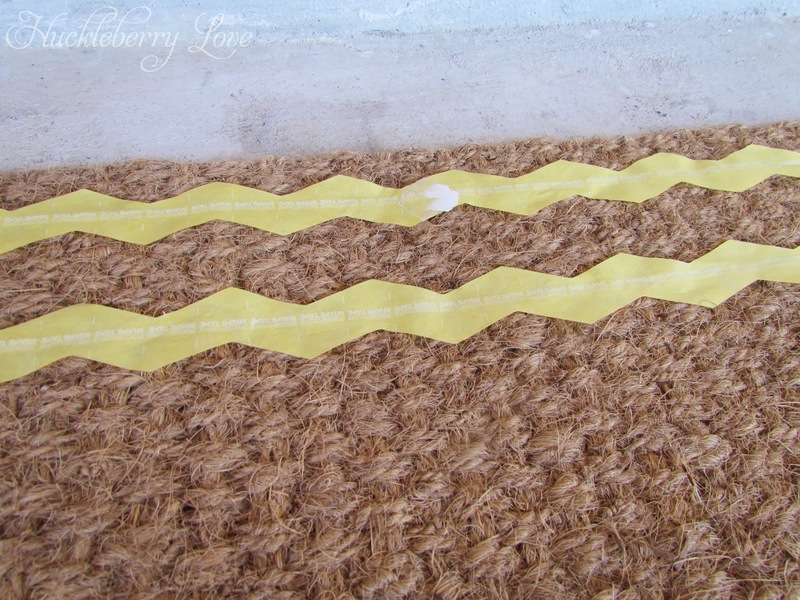 They make chevron tape?! Neat, I didn't know that! 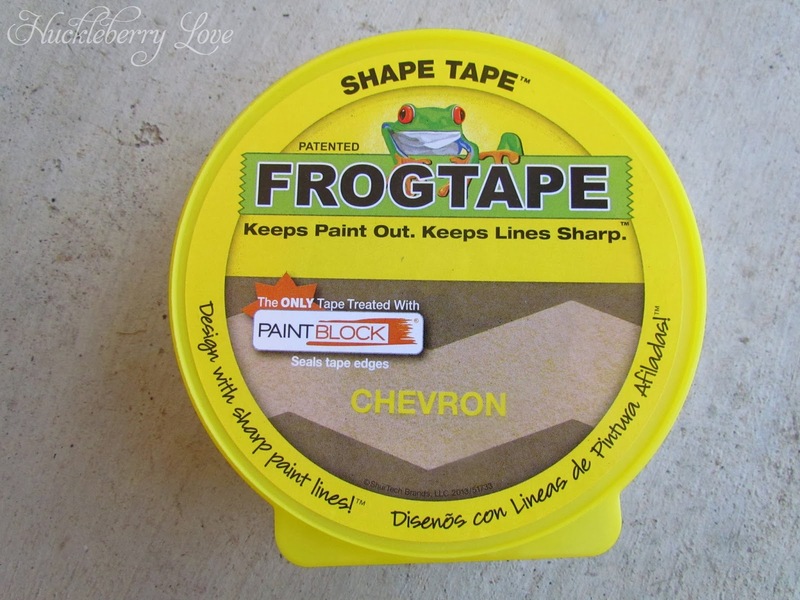 That was my thought exactly- I love frog tape and now they're making our job even easier! Very cute, gotta try that tape! Thank you, Katie! Everyone over here is so happy you liked it! How much does the zig-zag Frog Tape cost? I'm not sure- regular frog tape is usually around 6 bucks. Maybe Emily can tell us? I absolutely adore this project. Isn't is darling? These girls will be such a great addition to the blog! yay! Thoughts? Questions? Opinions? Let's talk about it! 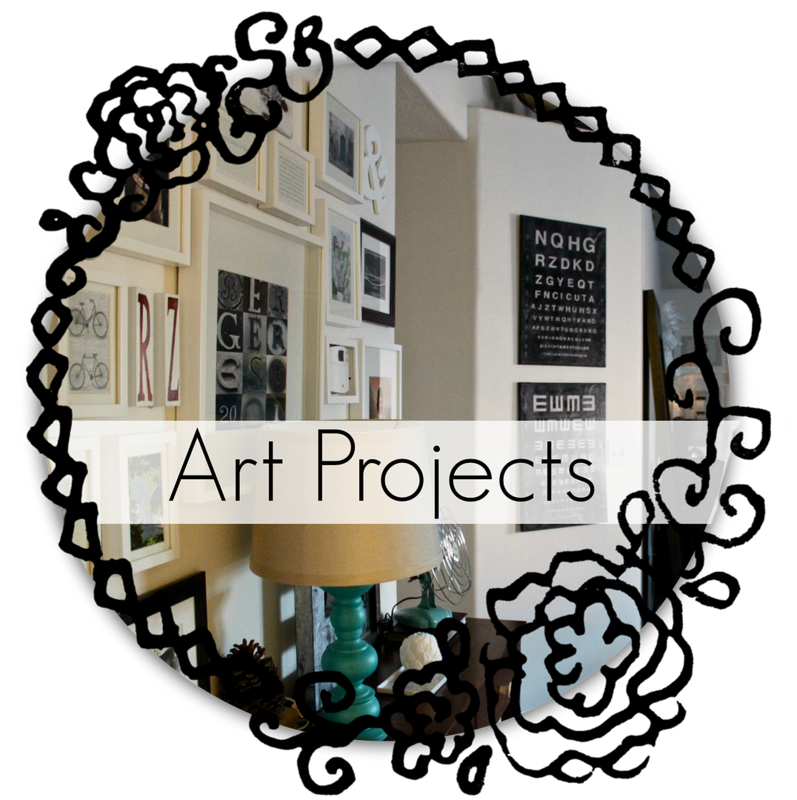 A Color Artist, Small Biz Owner, Serial DIYer, Long Time Blogger, Continuous Traveler...click for more! Visit Becca's profile on Pinterest. 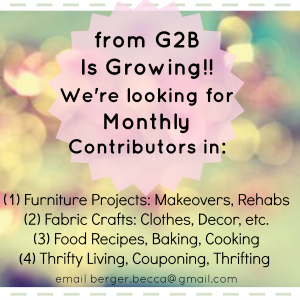 Want to Join fG2B Team? 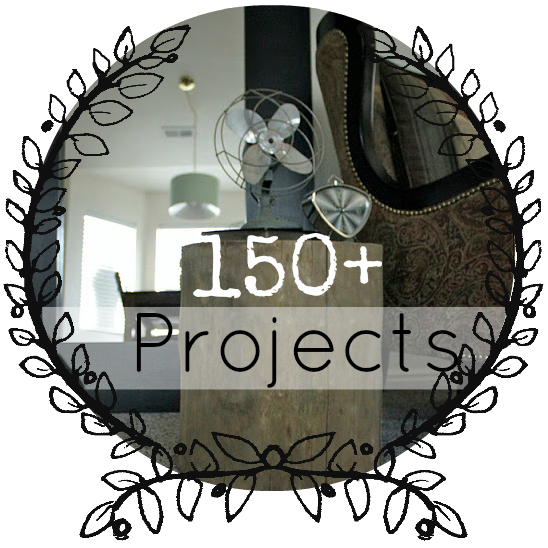 Subscribe for Free Projects & Posts! ∙ FG2B est. 2010 ∙ Blog Design by FG2B [me!!] ∙. Powered by Blogger.